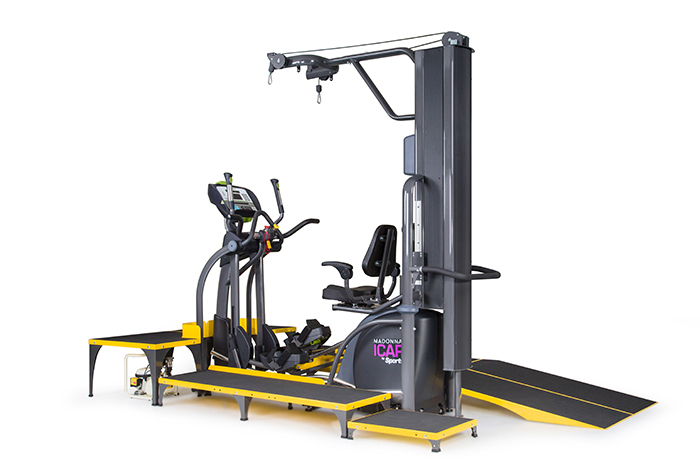 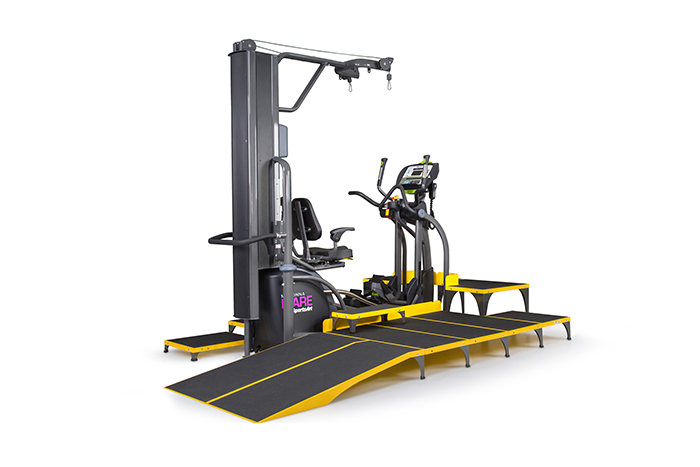 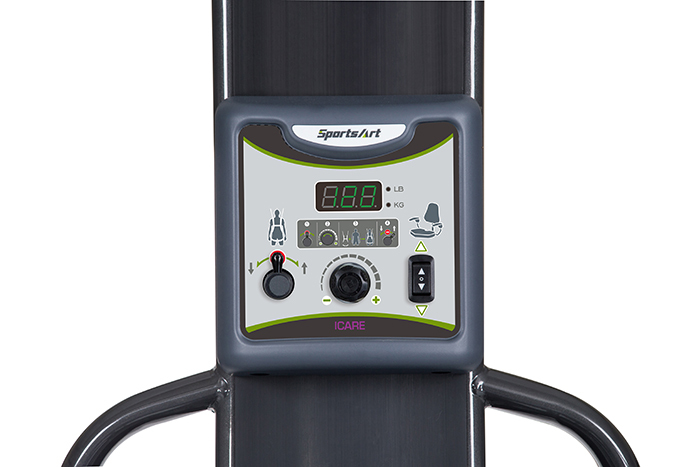 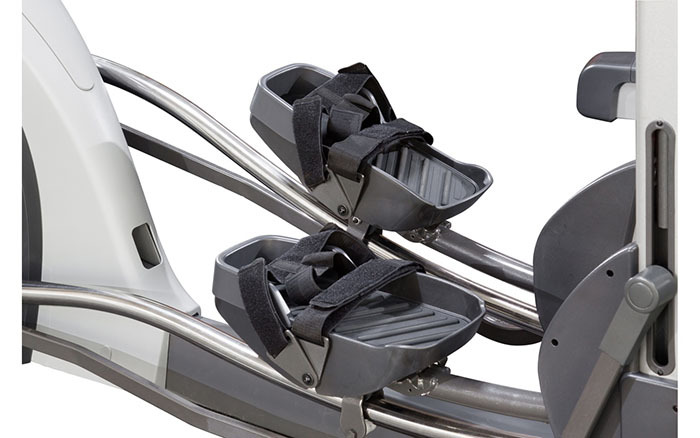 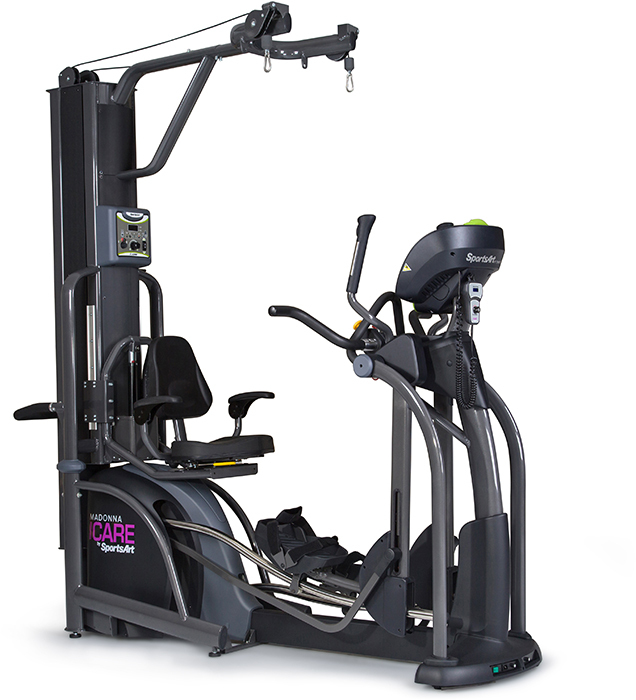 ICARE is a motorized elliptical trainer for repetitive gait training. 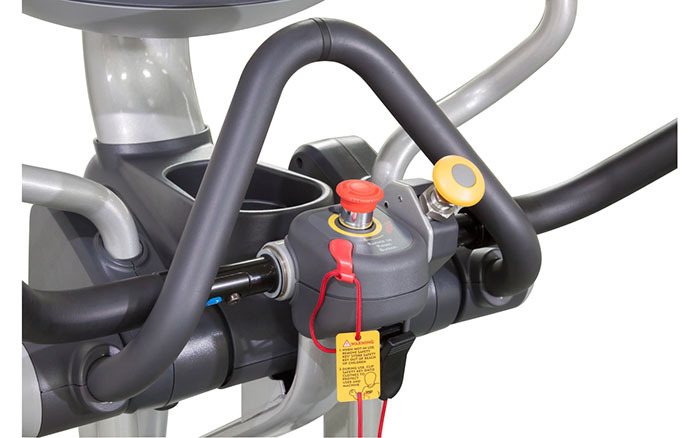 Integrated sensors detect the level of assistance needed and the motor reacts accordingly to provide the correct level of support. 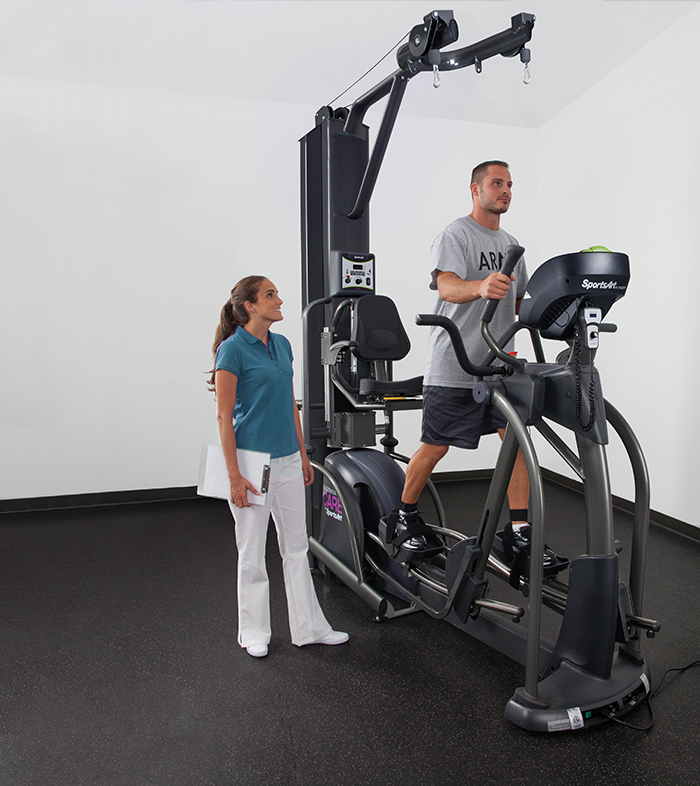 Relearning to walk and remaining physically active are important rehabilitation goals for individuals with weakness, numbness or balance problems and those recovering from a disabling injury or illness. 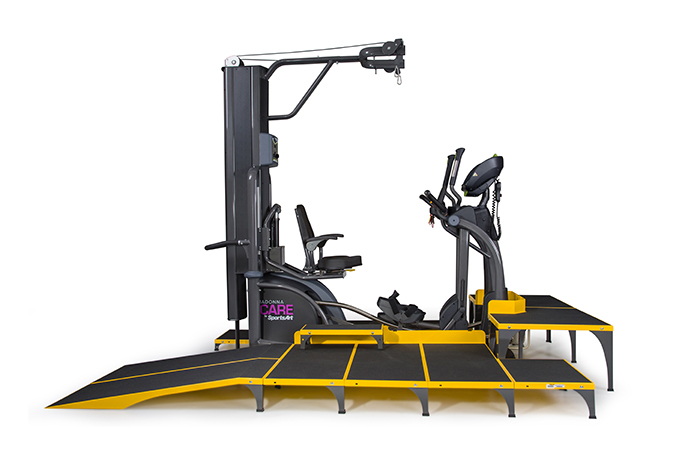 To regain the ability to walk, thousands of task-specific repetitions are required to achieve lasting neuroplasticity gains.